Attention ukulele players and enthusiasts! 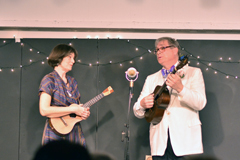 Don’t miss the Second Hudson Valley Ukulele Invitational, hosted by ukulele duo, the Edukated Fleas. Come hear a range of ukulele talent from across the tri-state area! 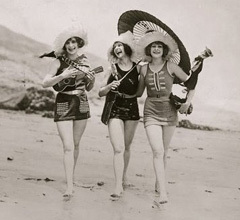 Play-alongs too, so don’t forget your uke! Come for lunch or brunch and stay for the Invitational. The Fleas will be providing some ukulele swing for your brunching pleasure from 11:30 until 2 p.m. Join us and ensure you get a great seat for the Invitational. Suggested donation $5 for the Invitational. Call for reservations.